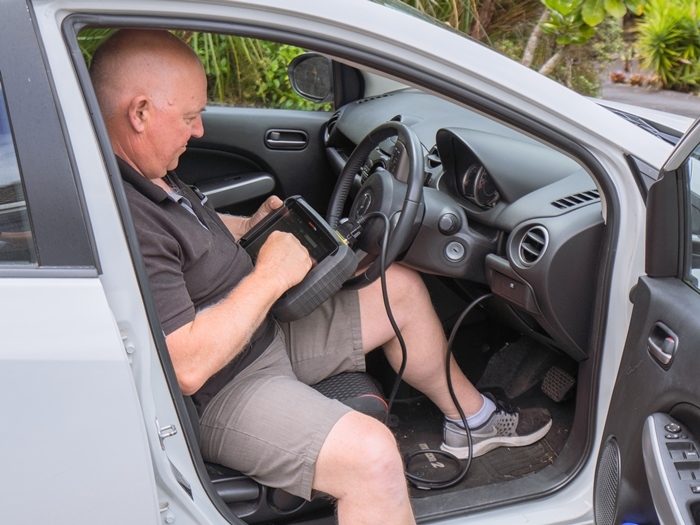 As a mobile locksmith service, Sail City Locksmiths will come to you anywhere in Auckland. We cater for most makes and models of vehicles, including transponder keys for late model vehicles such as Holden, Ford, Nissan, Toyota, Hyundai, Honda, Mitsubishi, Mazda, Kia, Suzuki, Subaru, and much more. Because we create transponder keys from our mobile locksmith vans, Sail City Locksmiths can get to you quickly, and in most instances, provide replacement keys much cheaper than going through a vehicle dealer. Transponder keys are standard now on many late models. The head of the key holds an embedded micro-chip that "talks" to the vehicle’s computer and lets it know that the correct key is being used. What if your transponder key stops working or is lost or stolen? Forget your car dealer and their high charges, call Sail City Locksmiths. We can replace the key for you at a much more competitive price. We are happy to provide a quotation for you or your insurance company, should the loss of keys be due to theft. — we just rekey the existing locks for you and cut a new key.